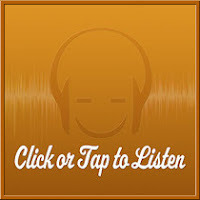 Please note that our monthly top 25 is now listed in alphabetical order by artist name. 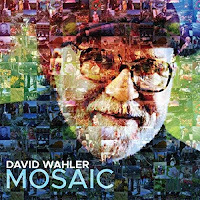 I’d initially became acquainted with David Wahler’s music upon hearing a couple of tracks from his mesmerizing 2012 album, Antiquus, and I’ve been intrigued ever since. Created using a variety of keyboards and synthesizers while weaving organic nature sounds throughout, Wahler’s style could essentially be described as electronic new age music that’s noticeably rooted in the classic and pioneering sounds of the 80’s and 90’s, yet feels freshly modern and up-to-date. Crafted in a similar style to his Spiritus (2015) and A Star Danced (2010) albums, Wahler’s latest release, Mosaic, is a blissfully beautiful album comprised of eleven softly melodic, serenely soothing and subtly romantic compositions that often bear elements of ambient and classical styles. The gorgeous opening title track, “Mosaic”, possessess subtle touches of Tangerine Dream with its flowing progression of sequenced layers – albeit comparatively more gossamer and “mistier” in texture – as synthesized vocal intonations mysteriously weave in and out of its sensual soundscape. Wahler perfectly sets the tone for the rest of the album with this spellbinding composition, which appropriately lulls the listener into a relaxing yet imaginative, almost daydream-like state. Following next is “Afterain”, which employs nature sounds, wispy vocal effects and sparsely drifting keyboard notes. Wahler then moves into slightly cinematic territory with “A Promise to Keep”, which highlights a more prominent piano melody. “A Child of the Universe” is another favorite that brings in elements of Celtic fantasy and neoclassical motifs. Here, celestial choral voices along with piano, flute and harp-like textures exchange leads beneath overarching strings. Also noteworthy about this piece (and others) is that Wahler exhibits welcome restraint in places where other musicians might go for bombast. “August Cloud” is a more intimate passage with subtle hints of mystery – while “Elysian Dawn” feels more mythical with its birdsong, harp textures and lone female voice. “Heading Home” begins with a solo piano figure that is eventually joined by other synthesized elements. This lovely piece is reminiscent of some of the works released on the Narada label in the late 90s and would have fit perfectly on one of their signature compilation albums. “Sakura” follows in a similar vein, although quickening the pace a bit and likewise, displaying a beautiful melody. The aptly-named “Lone Sky Night” is another favorite, as it imparts a solitary sense of wonder, with its gently rolling waves and spacey, twinkling effects evoking images of a starry sea. “Fou D’ Amour” is pleasantly reminiscent of 80s-era “new age” synthesizer music – and in particular, Vangelis, with its cinematic elements. And lastly, the haunting closing piece “Why?” starts out quietly until a gentle rhythm comes in accompanied by vocal effects. For more information please visit the artist's website. This album is also available from Amazon, iTunes, CD Baby and Google Play. Darlene Koldenhoven has enjoyed a long-standing musical career that boasts some impressive highlights, including having performed as the soprano soloist at Yanni: Live at The Acropolis, as well as her portrayal as a choir nun in the blockbuster comedy Sister Act. With several solo albums to her credit, Darlene’s musical style ranges from classical crossover, to new age vocal to contemporary instrumental. Her latest album, Chromatones, is a purely instrumental work based on the music of her previous release, Color Me Home. Both albums feature the same compositional lineup, however, the songs themselves have been retitled yet nonetheless still capture similar meanings and visual interpretations as those ascribed to their original vocal renditions. With Darlene at the helm as producer, composer, arranger and engineer, she also lends piano, keyboard, native drum and shaker. Likewise, the album variably features contributions from a line-up of familiar names that appeared on her previous album, such as David Arkenstone, Wouter Kellerman, Ricky Kej and others. 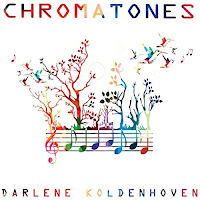 Chromatones opens pristinely with “Golden Dawn”, a lovely piece that makes great use of bird song and ocean waves, which soon introduce a gently colorful ensemble of piano, flute and string instruments. “Mourning Doves” follows with dove cooing before blossoming into a flowing piano melody enhanced by radiant flute and solemn strings. “Red Savannah” ensues as the instrumental rendition of “Kalahari Calls” from Color Me Home. This piece is my favorite on the album, with the all-instrumental arrangement further bringing out the subtle textures possessed within the composition’s seemingly idyllic, tropical soundscape. Introduced by the serene sounds of wading through water, “Swans on the Seine” possesses a romantically whimsical air about it with its dreamy blend of harp and clarinet. Next, “Terra Affirma” features a softly sweeping and somewhat cinematic arrangement of piano, horn and strings that are brushed throughout by sparkling chimes and harp. Another favorite is the ensuing “Native Bloom”, which opens with mysterious Native flute intonations that are soon joined by sparse piano notes, rain-sticks and tribal percussion. While the title “Vibrant Worlds” may suggest a song that's decidedly energetic and upbeat, this gentle piece of music is more like a lovely lullaby that features a comfortingly beautiful violin melody throughout. 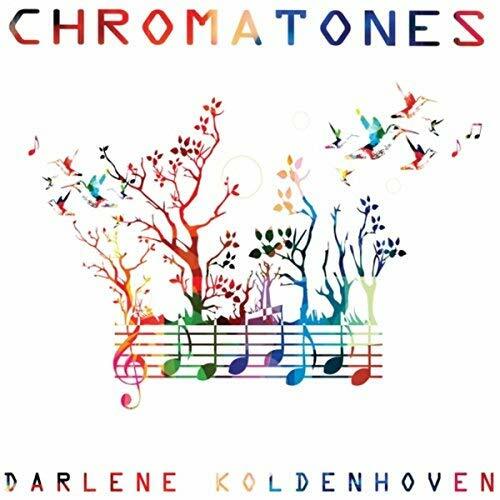 Next up is “Chromatones” – a dreamy yet vibrant composition that certainly earns its title-track status. Comprised of synthesizers and hammered dulcimer, the piece subtly evokes some of the works of new age music veteran Constance Demby. “Prism of Time” gently follows with a beautiful duet of piano and flute – while the ensuing “Painted Desert” showcases flugelhorn. The final piece, “Waltzing in Planetary Time”, is a delicately melodic and tender composition that highlights acoustic guitar and English horn, bringing this colorful listening experience to a serenely sentimental close. For more information please visit the artist's website. This album is also available at Amazon, iTunes and Google Play.